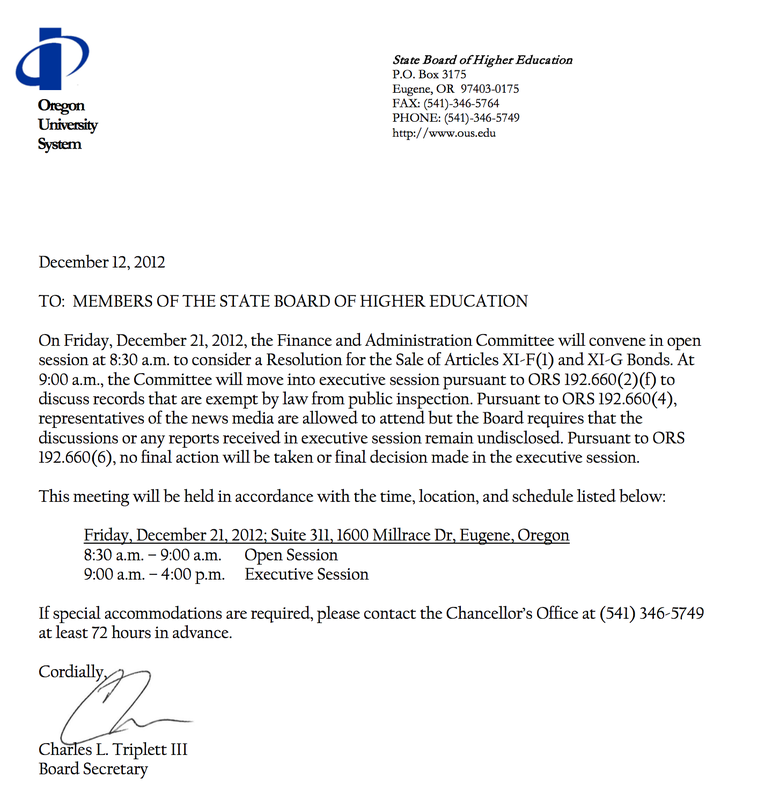 And yes, it appears Oregon public meetings law does not require Pernsteiner give any more description than that below. Reporters can attend, but only if they promise not to report. I tried to go to the executive session on firing Lariviere. Triplett told me I wasn’t a reporter. 12/18/12. Tagged OUS Board and Chancellor, Pernsteiner. Bookmark the permalink. Be a guest columnist for the local newspaper. Get a credential from it. Didn’t you ever read Kafka’s Castle? How about a credential from the Universal Bloggers Institute? Whatever you do, don’t mutter. They’ll have you in UO Jail before your head spins again. I’m looking through the glove box for my Ralph’s ID card now – that punk Larry probably took it. That’s the spirit! Let’s go bowlin!